Dandylion is finished and he looks even more enthusiastic than I hoped for. As soon as I had him finished, I felt like making more. An orange striped version or a black one, maybe a wild cat. I love how he’s able to be positioned in different ways and he can surely observe you with his big eyes like real cats do. Meet Dandylion, my crochet kitty cat pattern. This is such a fun and playful cat amigurumi. He’s made with basic shapes and doesn’t look very realistic, but because of his authentic cat expression, he looks exactly like real a real cat, probably the only animal who lies like this, watching you and being up to no good. 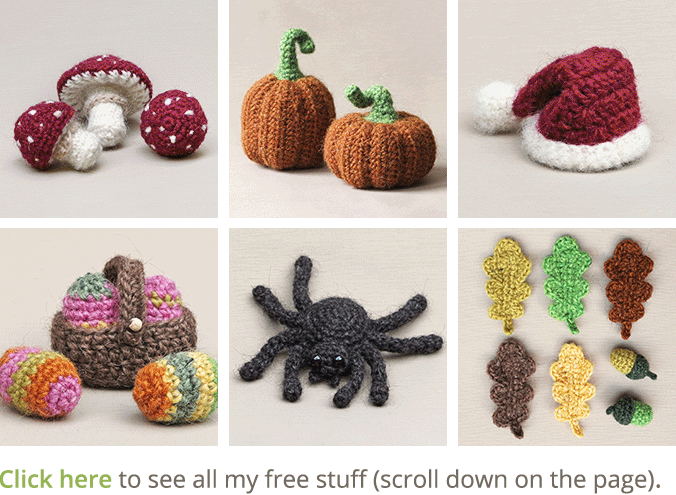 Here are some more pictures of this mischief and scroll down for info about & links to buy the pattern. 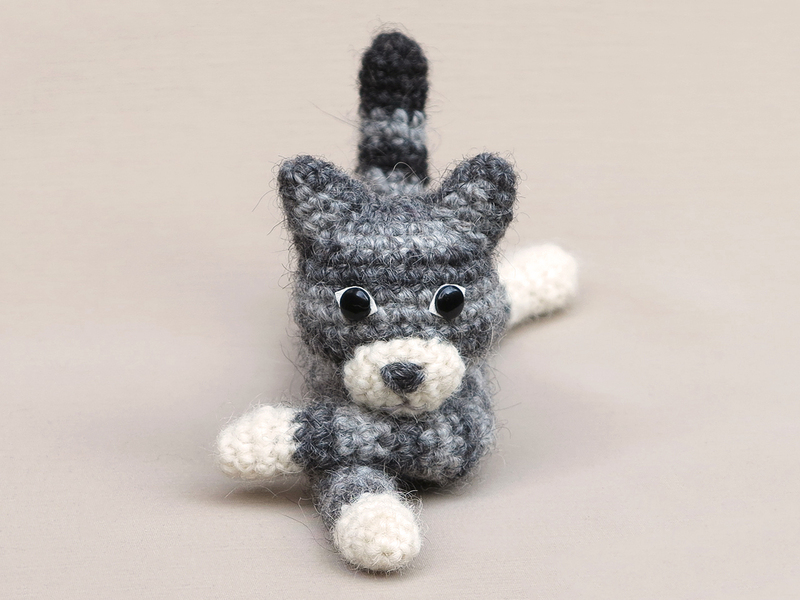 With this easy pattern you can make a lovely striped amigurumi cat or a cartoon version of your own cat. Just divide his colours in simple shapes and crochet ahead, it’s fun! The cat is lying 9.1 inch / 23 cm long, when made with worsted weight yarn. The crochet kitty cat pattern is for sale in my shop at Craftsy and in my Ravelry shop. You can also order it directly from me here. 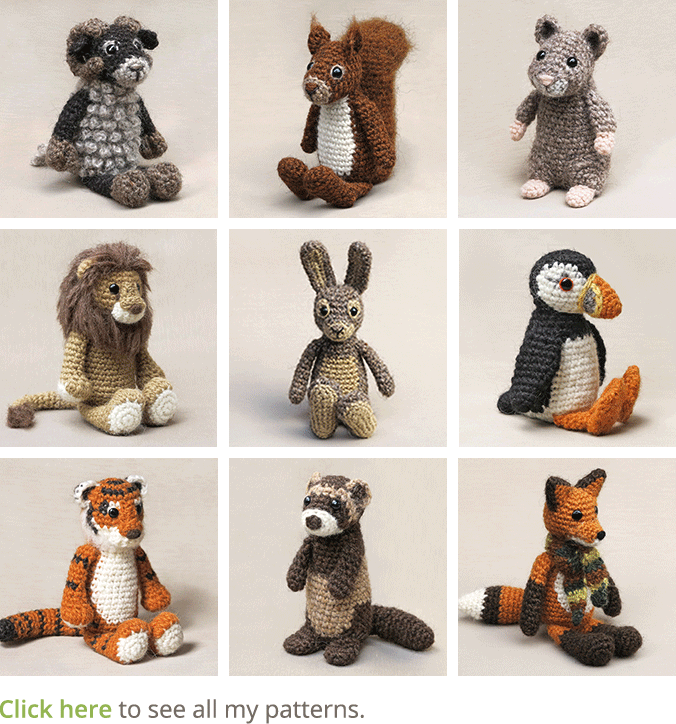 The pattern is written in standard American crochet terms and contains a clear and colour coded description of how to crochet and assemble the animal with example pictures next to the instructions and at the bottom. 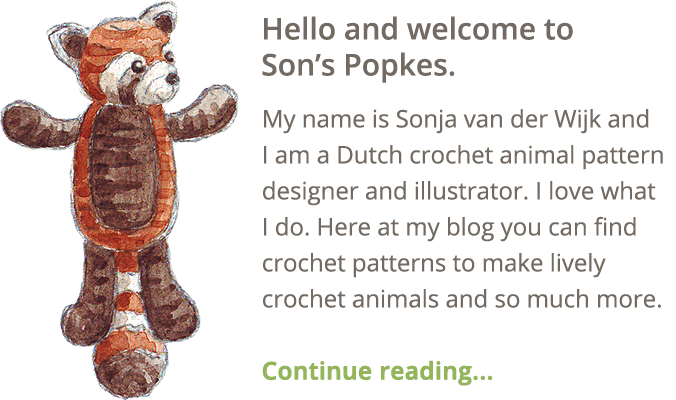 In the pattern you can also find what materials you need, the Lopi colour numbers, in short, everything you need to know to make this unique crochet animal. All the additional information you need to know about this pattern you can find in the shop listings. This is so, so cute. Just as cute as I imagined it would be! You must make more! The first photo is exactly how my cats stretch out and cross their front paws. Thanks Elena, that’s great to hear. My cat (a black one :)) does the same! This is the first of your popkes that tempts me to go back to crocheting–because I so miss having a cat. (We are away from home too much to have one). He is beautiful! And the eyes turned out great–very expressive. Congratulations! Thanks! A better compliment I can’t get. I hope you will give it a try. Have a good weekend Ingrid.